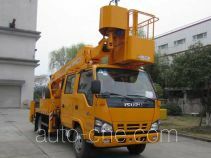 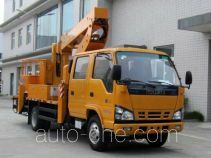 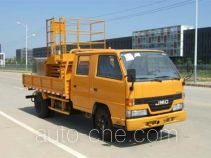 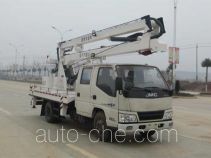 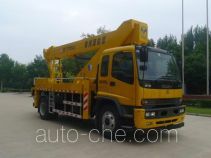 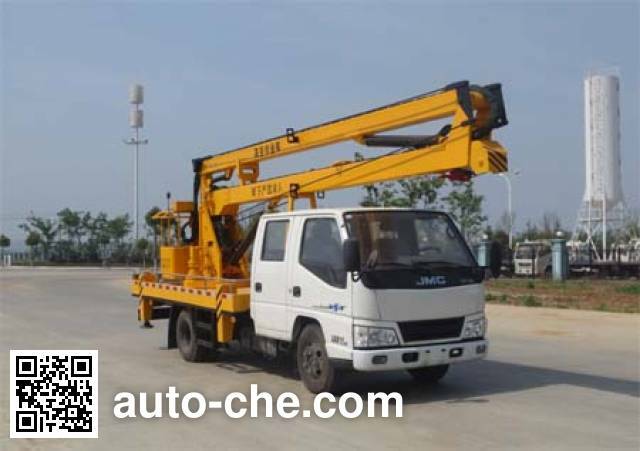 JMC aerial work platform truck JX5064JGKXSGA2 (batch #281) based on JX1061TSGA24 chassis is made in China by Jiangxi JMC Special Purpose Vehicle Factory Co., Ltd. 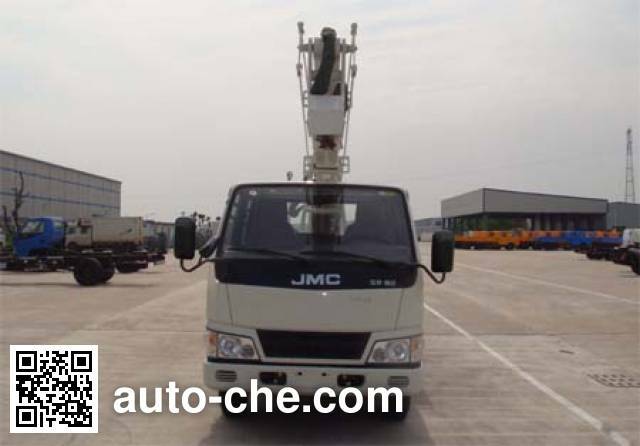 The company is located in , in , China. 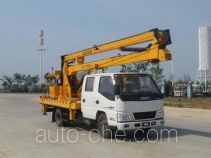 Special device reach 1070 mm. 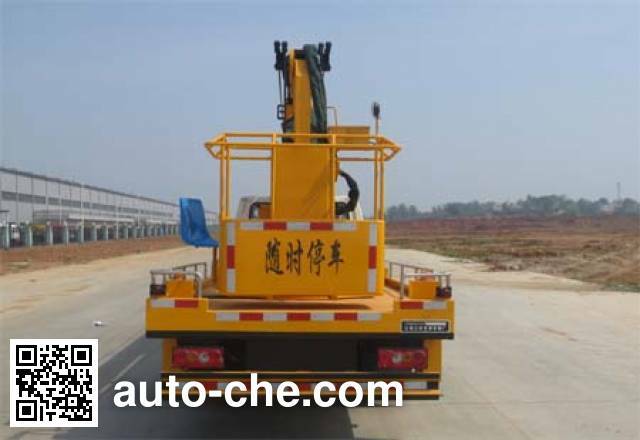 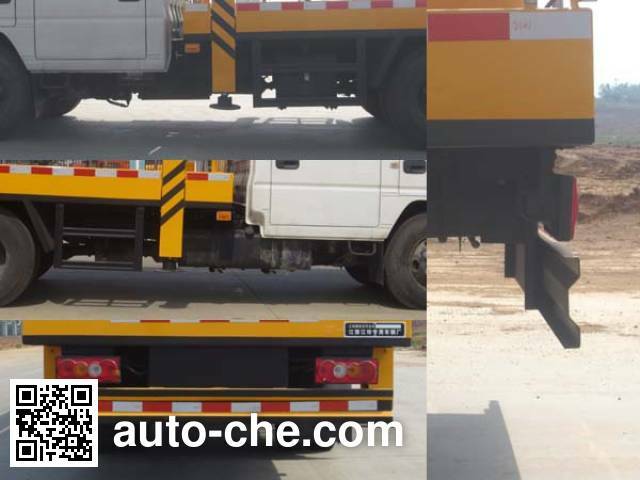 Side guard material: Q235A, connections: bolted; Rear underrun protection device material: Q235A, Connection: Welding, section size: 170 mm × 30 mm, ground clearance: 425 mm. 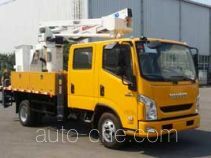 With the optional chassis headlights, front fog lights, front position lamps, front turn signals, front face, rear-view mirror.